The Vox AC10C1 guitar amplifier combo delivers iconic Top Boost tone with a twist. 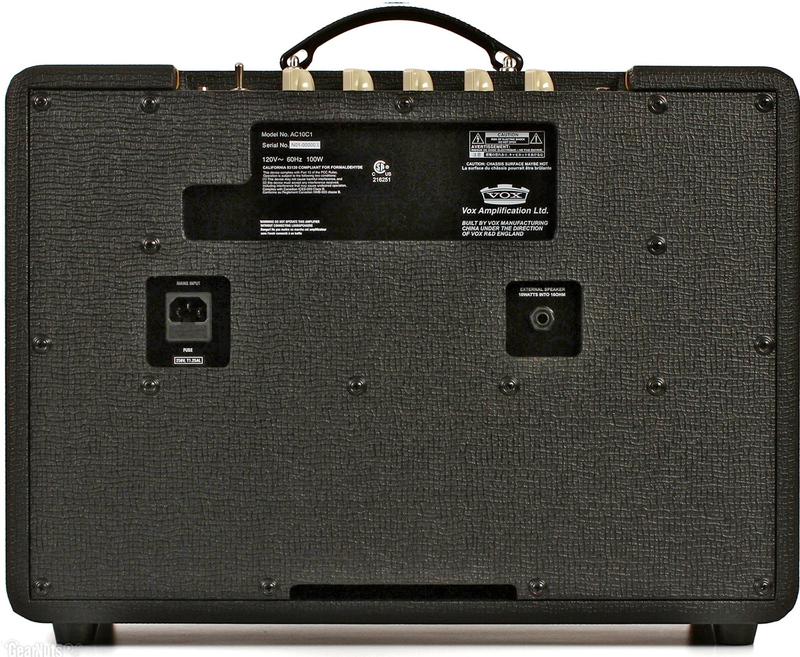 This 10-watt combo gives you popular AC10 chime and grit through a Celestion 10″ Greenback. The volume, treble, bass, reverb, and gain controls let you dial in Vox-style clean and crunch, with a Greenback speaker to add low-end and midrange definition. 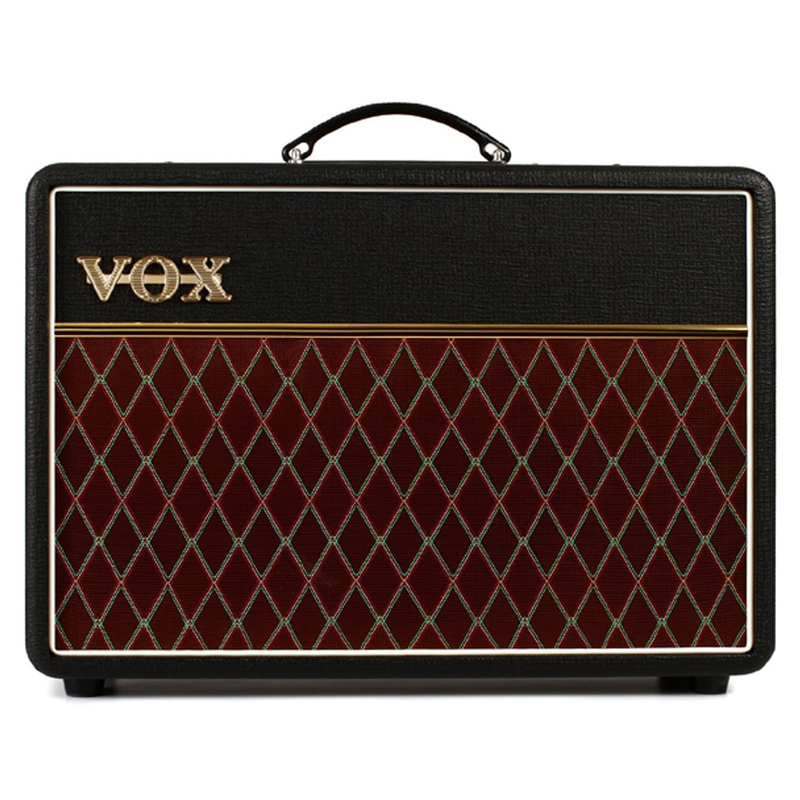 The Vox AC10C1 guitar amplifier combo delivers iconic Top Boost tone with a twist. 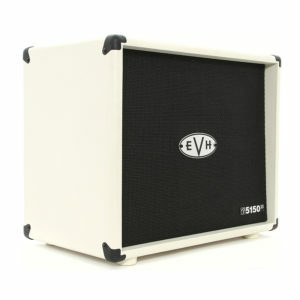 This 10-watt combo gives you popular AC10 chime and grit through a Celestion 10" Greenback. 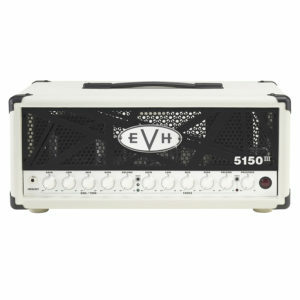 The volume, treble, bass, reverb, and gain controls let you dial in Vox-style clean and crunch, with a Greenback speaker to add low-end and midrange definition. 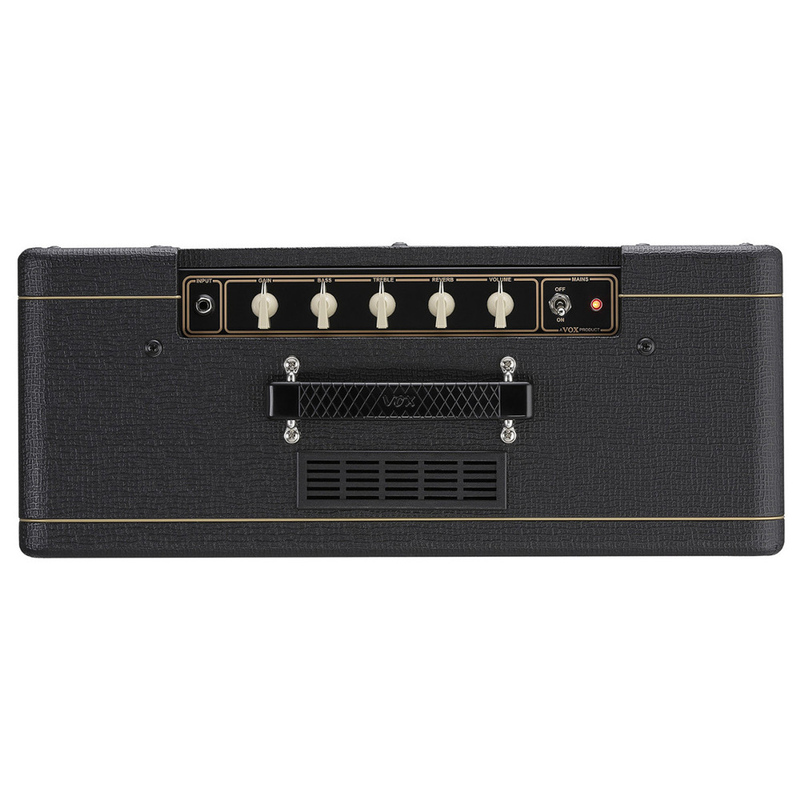 The Vox AC10 Custom delivers legendary Top Boost tone in a compact package. A simple 2-band EQ sculpts your tone. And the Vox AC10 Custom sports 10 watts that offer plenty of headroom for guitarists wanting a Vox platform for their favorite effects pedals. 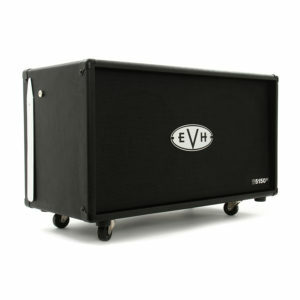 And the separate gain and volume controls offer the harmonically rich Vox grind at volumes that work well whether rehearsing, recording, or playing live. 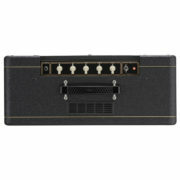 This Vox AC10 Custom combo amp features two 12AX7 preamp tubes and two EL84 power tubes. This combination is directly responsible for the iconic tones that have powered Brian May, The Edge, and the British Invasion tones of the Beatles. This sound is glassy with a lot of clarity and chime, but as you push the amp harder, you'll hear an aggressive top end that cuts through any band's mix. 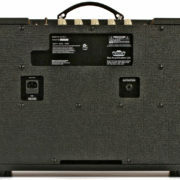 The installation of a Celestion Greenback speaker has always been a popular upgrade to Vox tube amps. These legendary speakers are beloved for the way they add warmth to any guitar signal while never muddying the tone or losing clarity. You'll still enjoy the clarity, jangle, and overdrive of the AC10, but with fatter bass, more mid-range definition, and incredible speaker breakup. A hot-rodded AC10 Custom just for you.